Many joys of yesteryear’s childhood modern-day kids will never get to experience – such as lawn darts, finding a coveted new release on the shelf at Blockbuster, and the Photomat. Today’s kids will also never have the thrill of waiting for the Christmas Wishbook to arrive to discover the bounty of toys available to them. In this age of prolific marketing campaigns, it’s hard to imagine a time when you had to wait for a catalogue to arrive before any serious toy shopping could begin. Once that Wishbook arrived, it was serious business for kids.We would sit quietly, mesmerized by the pages of possibilities. WishbookWeb allows readers to revisit that wonder. The curator of WishbookWeb is Jason Liebig, also known for his work at Collecting Candy. Jason painstakingly documents over 25,000 pages of Wishbook content from retailers as far as 1937. You can look back at the toys, housewares, and apparel that once inhabited our material lives. 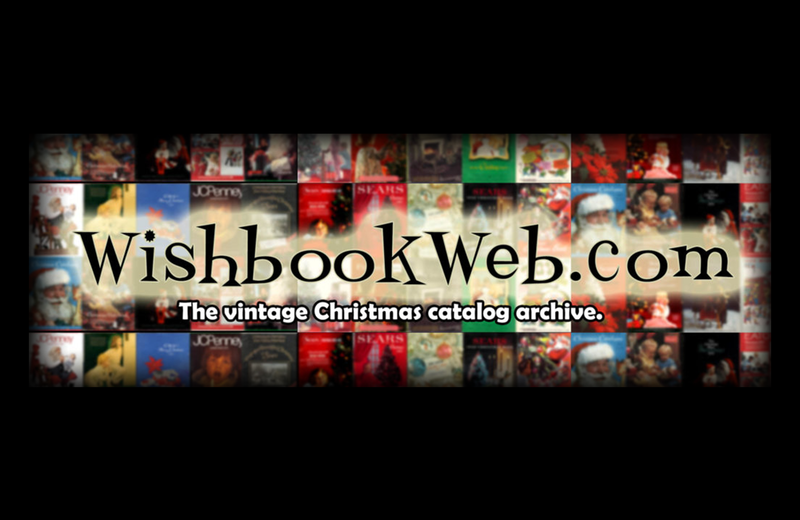 WishbookWeb is so much more than a walk down memory lane. The site is a study in cultural anthropology, offering readers a fascinating look at how toys, culture, and advertising have evolved over the years. If you’re a retro pop culture enthusiast looking for an entertaining podcast about television classics, toys, and games, The Retroist Podcast is your mothership. Old Toy Soldier journal is a print publication for toy soldier collectors and hobbyists.